2. One who acts unwisely on a given occasion. 3. One who has been tricked or made to appear ridiculous; a dupe. 4. Informal A person with a talent or enthusiasm for a certain activity. 6. One who subverts convention or orthodoxy or varies from social conformity in order to reveal spiritual or moral truth. 3. To engage in casual, often promiscuous sexual acts. OK ~ I can only guarantee I have been foolish in the kitchen… A fool baking in the kitchen! I wish I had a dollar for every minute I spend in the kitchen… I’d settle for a penny for every minute! Really ~ how do people get “discovered” for their talents? Oh, well ~ I’ll keep baking, cooking, distributing, sharing, teaching for the sheer joy of being able to… of giving in another’s time of need; offering bits of sustainment to my family and friends (and more & more often, strangers) because God has blessed me with the true love of doing so. Pour water into a large bowl, sprinkle the yeast in to soften about a minute. Add milk, egg, sugar, and salt; whisk to mix, allow to rest for 5 minutes. In another large bowl (or if you are fortunate enough to own a professional grade food processor… I do not) combine flour and butter. I use my hands to work this, being careful not to process too much, you want to see the butter! (If using the food processor, I assume you would pulse gently, also being careful not to over process). 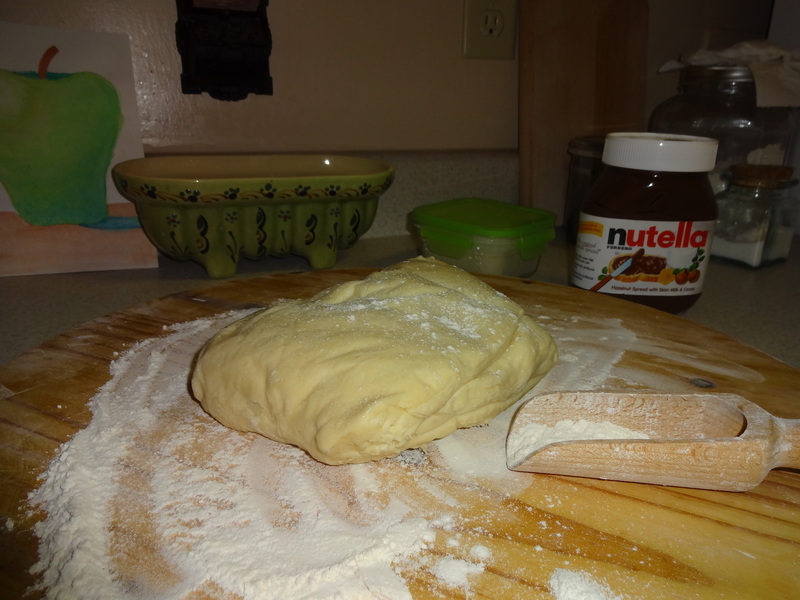 Add flour-butter mixture to yeast mixture, stir gently with wooden spatula, just until the ingredients are moistened. Note: DO NOT over work this batter/dough… you want to see distinct pieces of butter ~ it will be a gift to the layers, light and flakey pastry at the end! Cover bowl with plastic wrap and refrigerate overnight or up to 5 days. 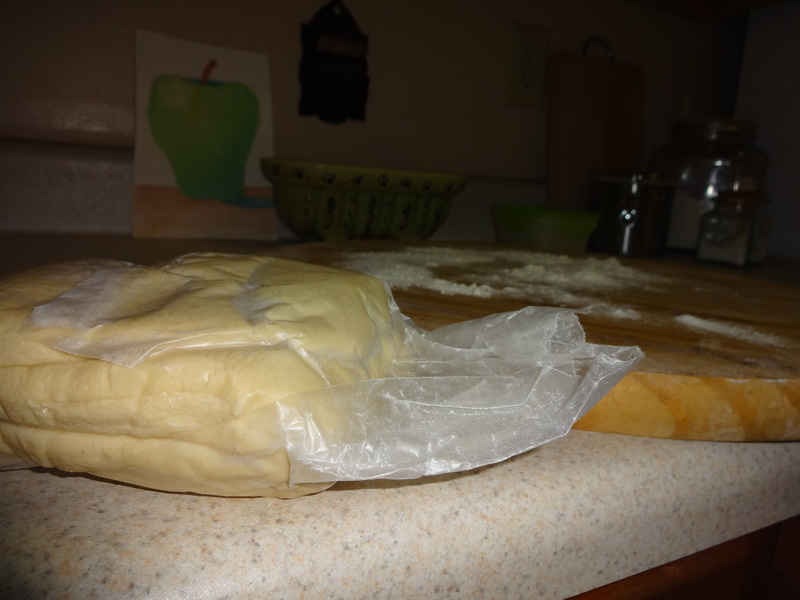 Since this is a flakey pastry dough, there is no getting around the rolling and folding! I do guarantee this dough is SO much easier than croissant pastry! 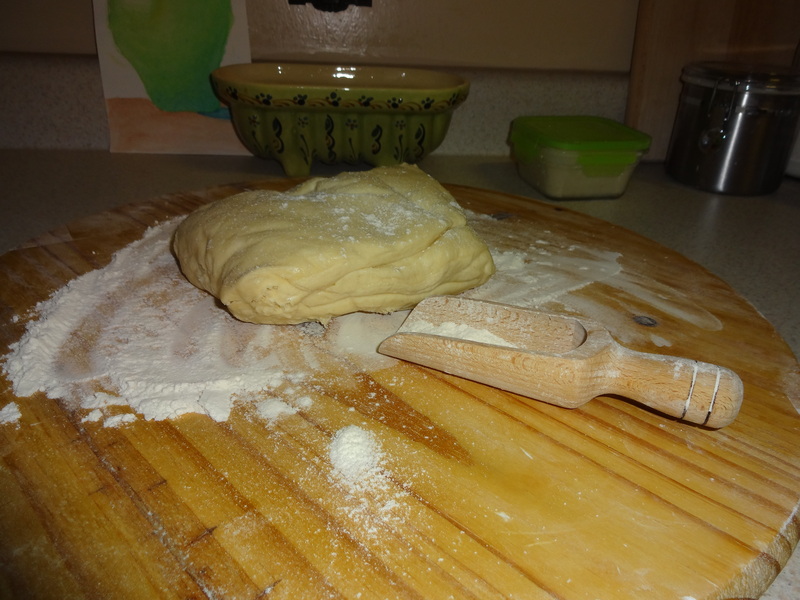 On a lightly floured surface, turn out the chilled dough; dust dough lightly with flour. Using your hands dipped in flour, pat dough into a square; roll it with floured rolling pin into a rectangle form; fold in thirds and repeat 5 more times, chilling dough if becomes too sticky to work. At this point, you should have a beautifully soft, pillowy dough. Wrap in plastic wrap and chill for 30 minutes or store in fridge up to 4 days or in the freezer for up to a month. I usually cut mine in half to use now and to share later, or vise versa! I am showing one example ~ there are endless possibilities! Whisk cream, cornstarch and sugar in a large microwave-safe bowl. Cook in microwave for 1 minute at full power; stir and cook an additional 2-3 minutes, until thickened. Set aside to cool slightly. Whisk vanilla and egg yolk. Temper by adding a spoonful of hot cream while whisking. Add into bowl of cream, stirring until smooth. real, unsalted butter ~ with no apologies! kosher salt ~ I just like it better! unbleached “better for bread” flour, unless baking a cake ~ then I’ll use cake flour. heavy cream, unless I’ve experimented and KNOW I can use my fat-free half and half! I highly recommend a “pastry blender” gadget. (like this: http://www.surlatable.com/product/PRO-607507/OXO-Pastry-Blender) It makes blending butter/flour mixtures much easier, and you don’t have to worry about melting the butter with your body temperature. I have a pastry blender, this Danish pastry just doesn’t seem to warrant getting it dirty… Just a couple of stirs around the bowl! This really is the best and quickest pastry I’ve ever attempted! Thanks for recommending the pastry blender; I do love it for other doughs. Thanks for stopping by, and happy Christmas!